A year ago today, I found out I was pregnant. But before I took my pregnancy test(s), I already knew I was pregnant. I had been tracking my basal body temperature each morning and, when I saw my temp was 94, I knew. Still, I waited until Brian left the house and then took a test. Then I took another test. Then I took a third test. 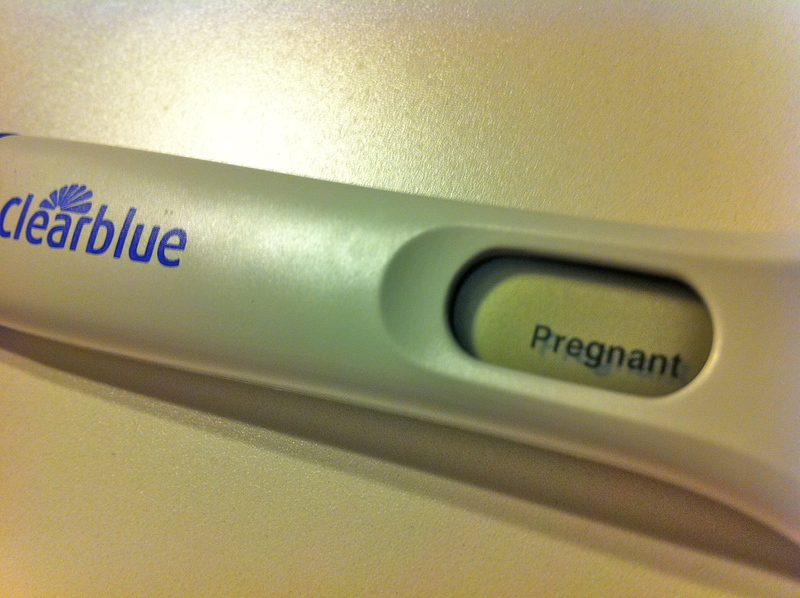 I had a First Response (pink lines) a Clear Blue (plus or minus sign) and a digital Clear Blue (says pregnant or not). I sat there staring at all three tests willing my eyes to see two lines and a plus sign. And right there before my eyes, three over-the-counter hormone detectors confirmed that I had life growing inside of me. It was hard to argue with three tests, especially the digital one that basically spells out the word pregnant. After that, I went back to bed and I wrote in my journal. I actually started a new journal that day. And I wrote and I prayed and talked to God and marveled at the news. I kept thinking about the verses in Luke 2:19 when Mary found out from the Angel that she was expecting baby Jesus, the verse says, “But Mary treasured all these things, pondering them in her heart.” That is exactly how I felt… treasuring these things and pondering them in my heart. For that special sacred time, only God and I knew that I was pregnant. LucyKate was only a tiny little cluster of cells but God had already breathed life into her and had a plan for her life and I was the only person on earth who knew. It was exhilarating having this incredible secret and such wonderful news to share. Anticipating how my loved ones would react, imagining telling Brian and my parents and his and all of our other family and friends. For just a while I daydreamed about all of these things and how this baby would be the beginning of the best chapter of our lives. Next I did what any modern woman would do. I took out my iPhone and snapped several pics of the positive tests and texted them to Brian. I called him immediately and confirmed the news. We had wanted this, been trying for this and expected the news to be good, and it was. 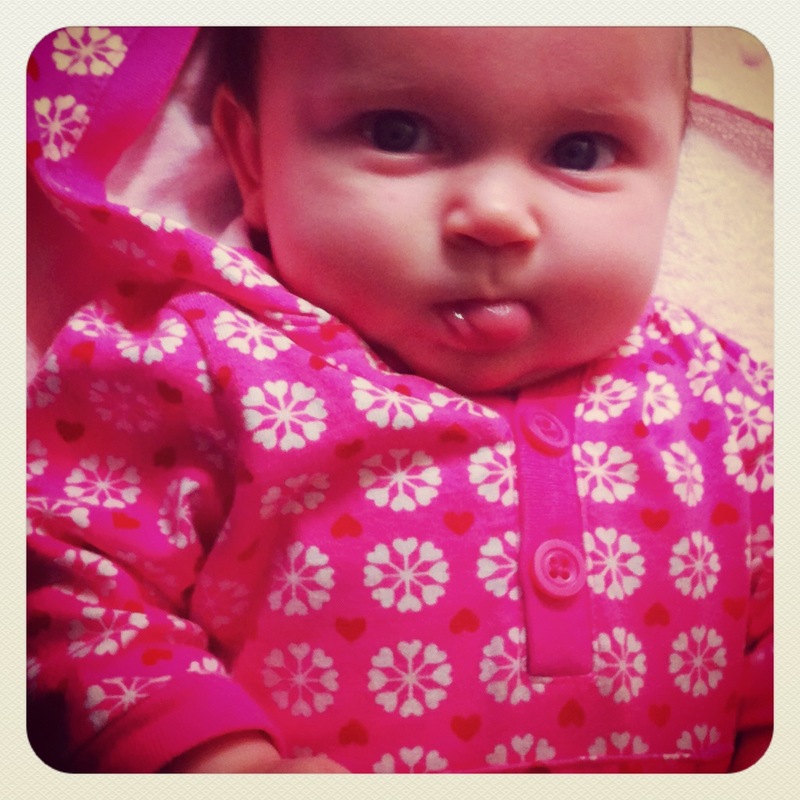 And that is the story of how I discovered that I was pregnant, on February 8, 2011. A quick year later here I sit and my life looks totally different. It’s no secret that a baby changes things, but a lot more changed for us over that year and the baby news was just the first domino to drop. Brian got a new job, we started going to a new church, I quit my job, we moved even further out into the DC suburbs (enough so that the move has been the hardest adjustment of all this change). And those are just the “big” changes. While it’s no big secret that these changes have transpired in our lives, I have kept my thoughts about all of these things secret and to myself for the most part. I suppose I have just been pondering and treasuring these things in my heart, like Mary did. But now I think I am ready to share some of my thoughts about all that has happened. Now that LucyKate is nearly 4 months old and we are falling into somewhat of a routine, I think I am ready to start writing about last year. Beyond the basics of begin brave, having courage and going all-in, I am ready to talk about how we processed through some of the biggest life decisions we’ve ever made, how God worked miracles in our lives as we stepped out in faith, and what I learned along the way about God, myself and life as I know it.